My career as a firefighter is very physically demanding, and it has taken a toll on my body. I have also been a high school wrestling coach for more than 15 years, so I am familiar with heat therapy and its many benefits. 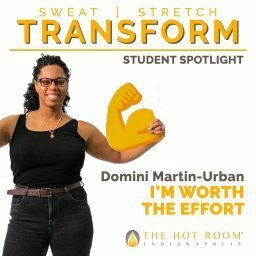 I believed The Hot Room would be the perfect fit to help maintain my demanding lifestyle by helping to heal my injuries, arthritis, and debilitating range of motion. When I started at The Hot Room I saw benefits immediately. After late night fires, I could literally smell smoke coming out of my pores during class, and I recognized the benefits of eliminating these toxins. My range of motion started to improve, but it was slow a process. With a full schedule, I was only going two times a week. I saw the benefits but I was not fully committed. I have undergone 3 knee surgeries and surgeries on both shoulders due to job injuries. In October of 2017, I experienced yet another injury: I tore a tendon in my arm and my bicep retracted about two inches. I had surgery the next day, and my surgeon said I wouldn’t be able to return to the fire station for five to six months. My arm was immobilized for six weeks, which was not good for my shoulder because it has five anchors in it from previous surgeries. I was on a two pound weight restriction, I was offered no physical therapy, and I was given no exercises to learn how to regain strength in my arm again. On week six of recovery, I returned to The Hot Room. It was hard! All the instructors were very encouraging, despite them knowing how discouraged I felt. For the next couple weeks, I concentrated on my Original Hot practice by attending a class every day. The benefits were amazing. My range of motion came back as if I never lost it. When I started to gain strength and confidence in my arm, I began to add Hot Power Vinyasa to my practice. This again added even more strength and stamina to, what I would call, my very broken body. Even more importantly, through Hot Power Vinyasa I leaned to connect my breath to my movement. When we are emotionally charged with the stresses of life, we all know how important it is to relax and take a deep breath. Vinyasa helps me with this. I believe that if I continue to practice Hot Power Vinyasa, I will be able to transition breath and movement to breath and relaxation, even in a stressful situation. This added benefit I get from the Hot Room will keep me coming back. I returned to full firefighter duty in three months and 14 days, when my surgeon said five to six months. This was with no physical therapy, no personal trainer, and no other weight room facilities. 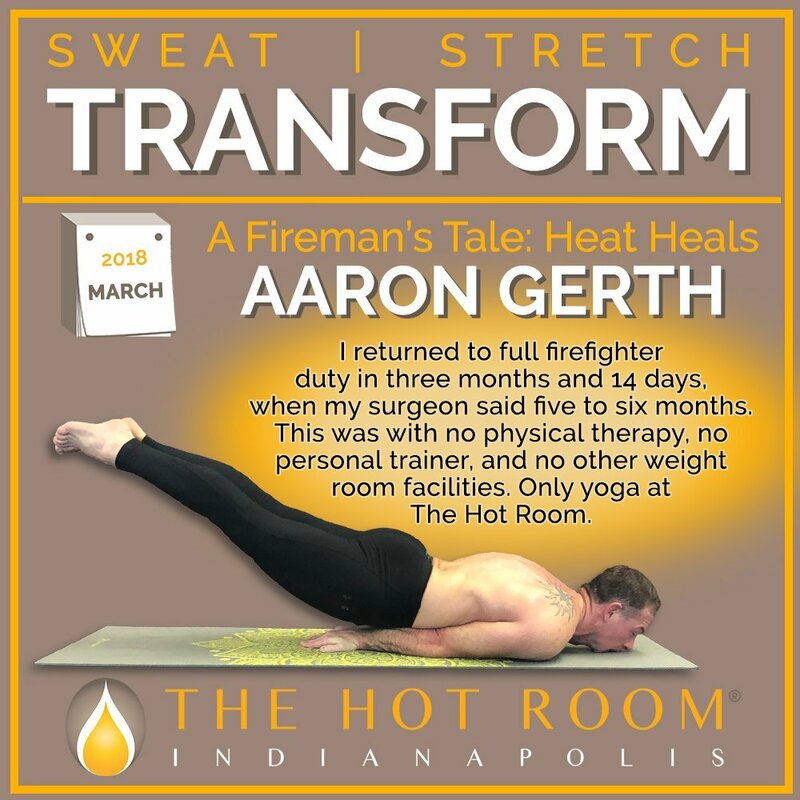 Only yoga at The Hot Room. I don’t think anyone believed it was possible, but I experienced the healing benefits of heat therapy and mindful breath and movement through Original Hot and Hot Power Vinyasa.